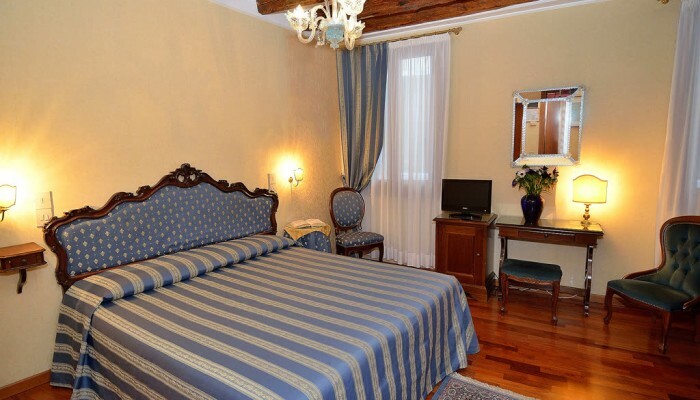 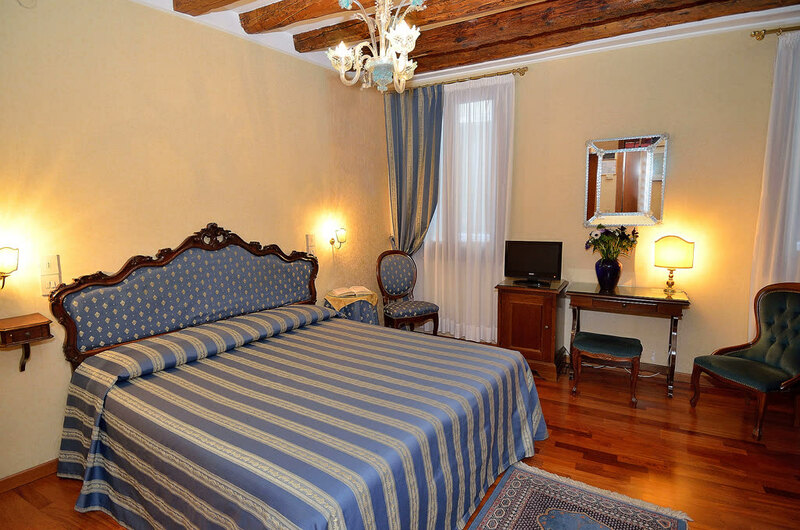 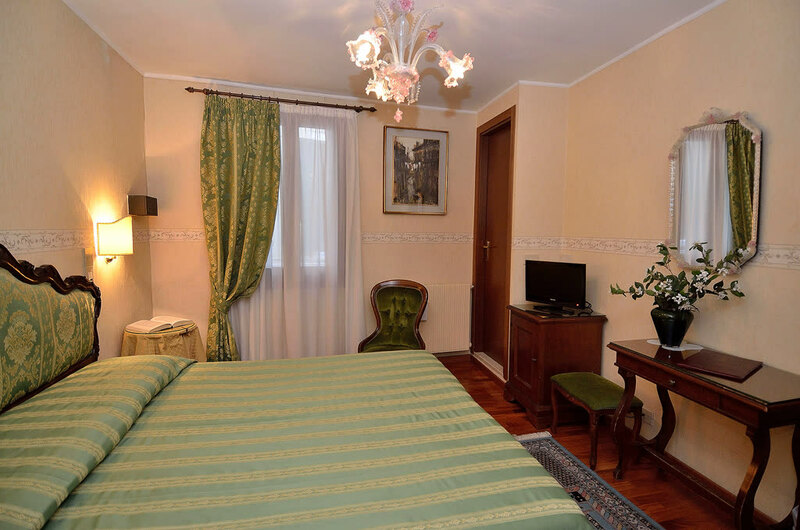 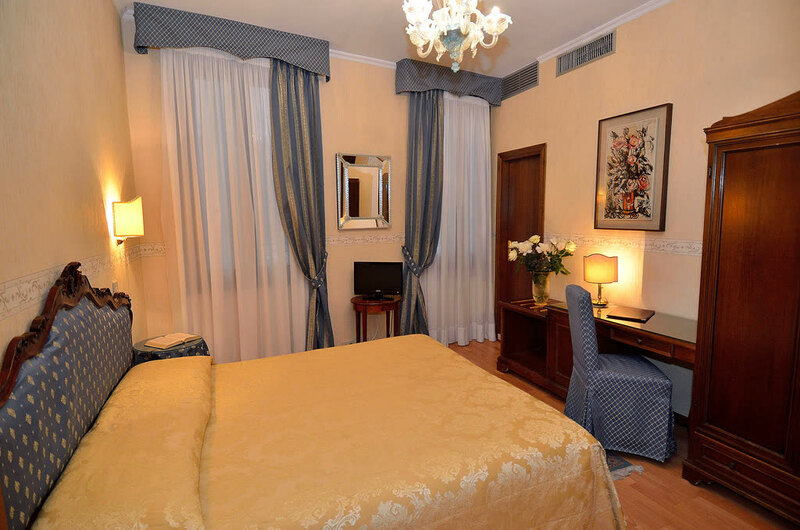 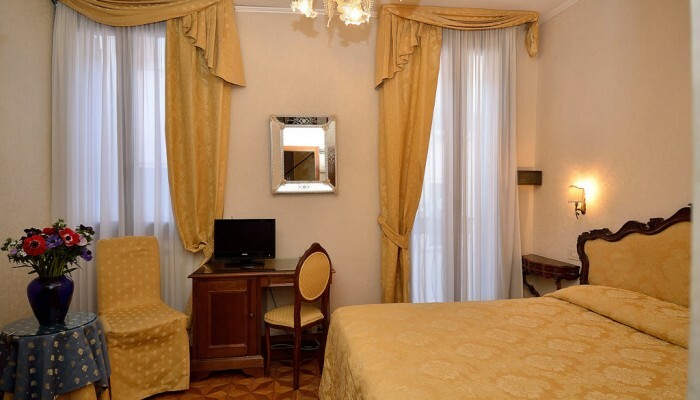 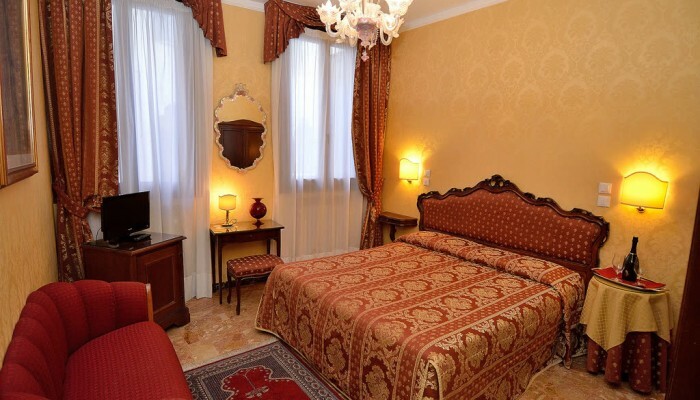 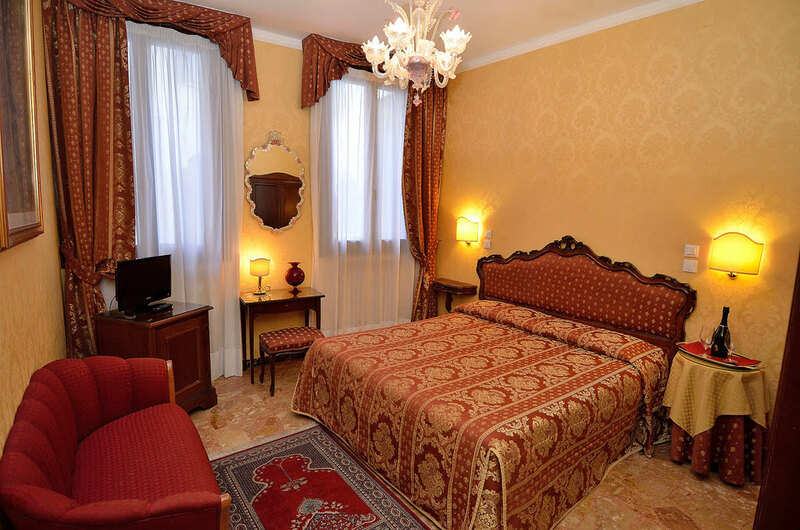 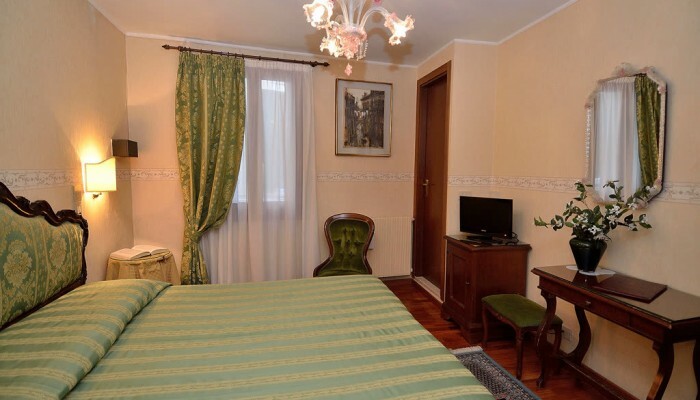 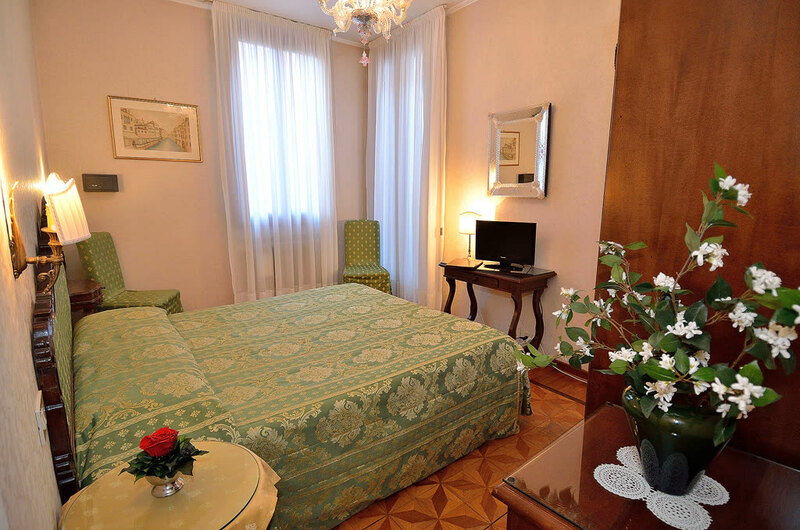 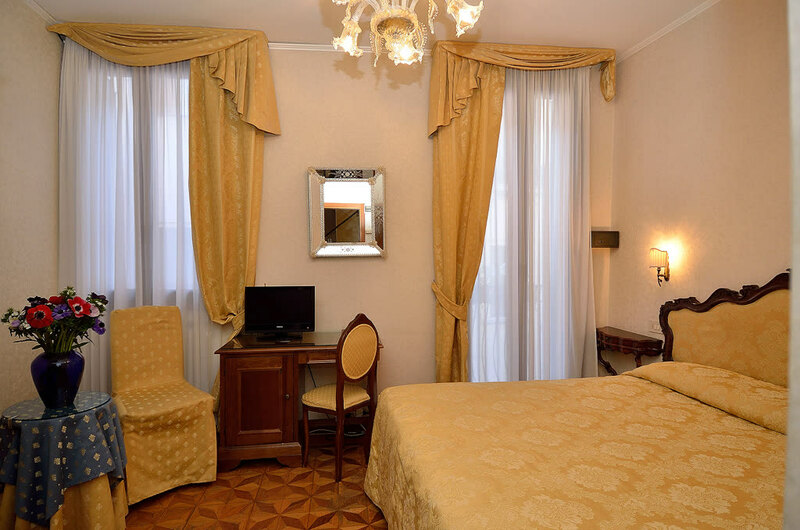 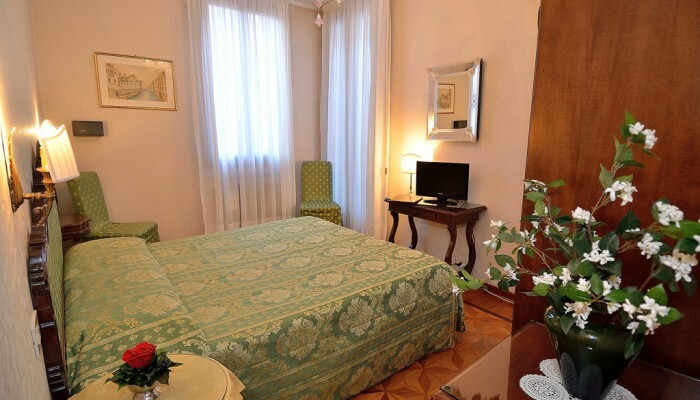 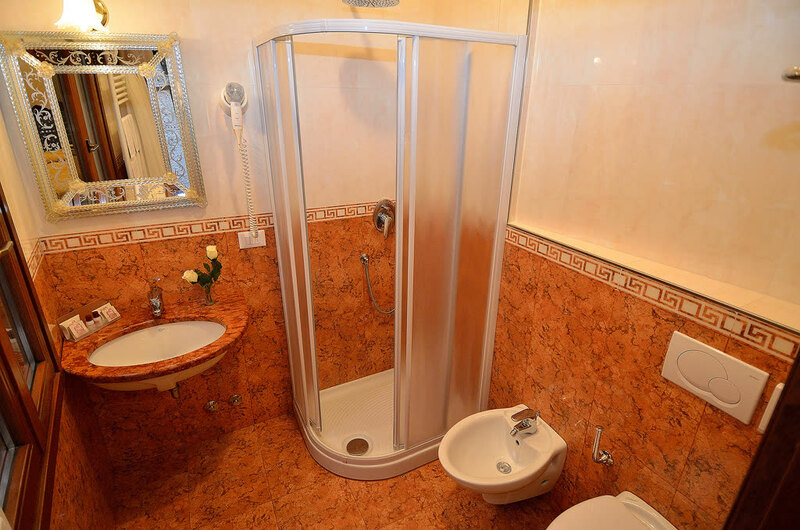 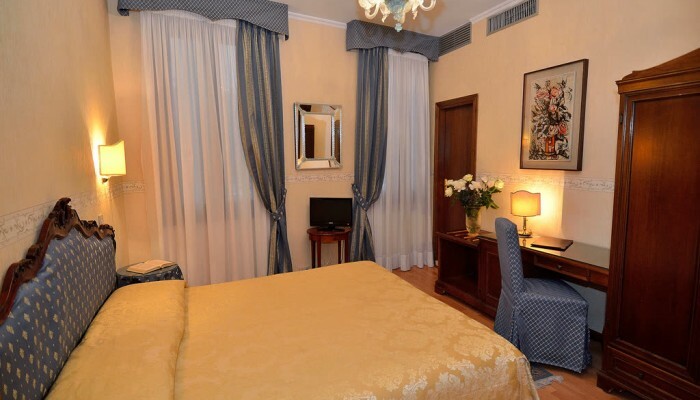 Comfortable and elegant room, decorated in traditional Venetian style, with Murano chandeliers and mirrors. 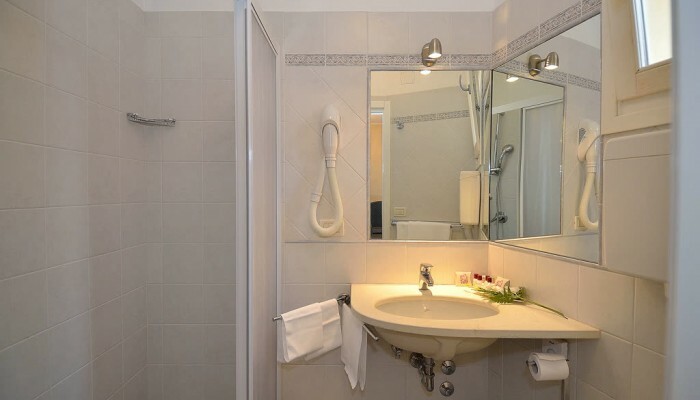 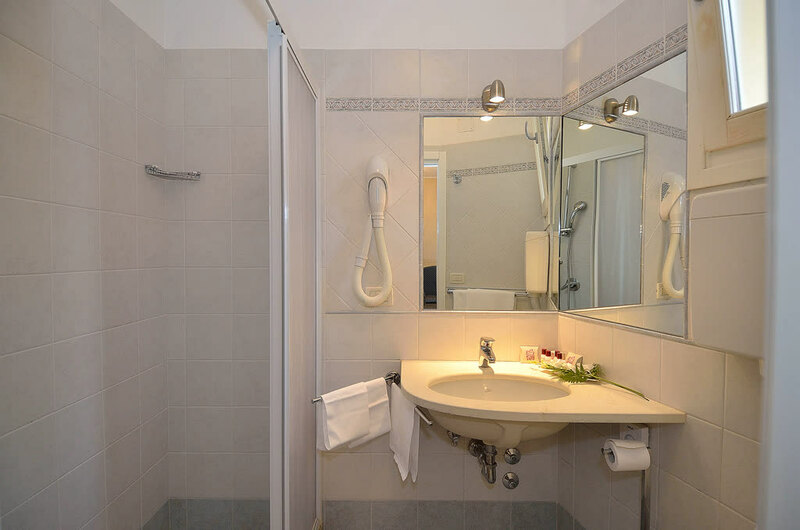 It has a king size double bed (size 160 cm width, 190 cm length) or two single twin beds (size 80 cm width), private bathroom, air conditioning and TV, together with a minibar. 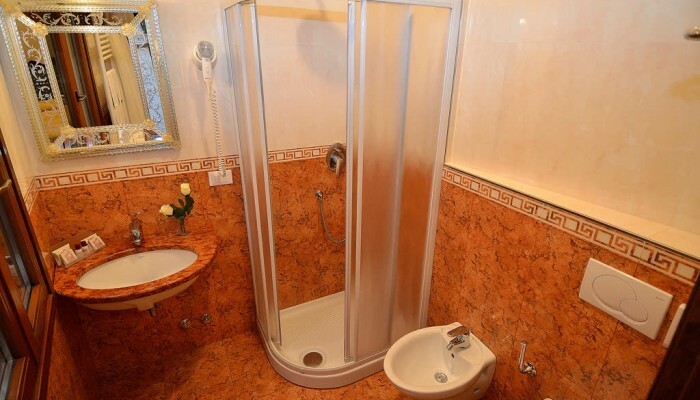 Size minimum 14 sqm, view on the pedestrian streets.